ome of the world’s greatest and noblest red wines are produced here as well as benchmark sweet whites and a very small amount of immensely stylish dry white. The Médoc AC itself, rather than the area of the Médoc which runs from Bordeaux north to Soulac at the mouth of the Gironde, is centred around the small town of Lesparre-Médoc and is the northernmost of the Left Bank ACs. There is a higher proportion of clay in the soil rather than the fabled gravel and the wines are generally soft and forward, with a few better examples. The Haut-Médoc encompasses all four of the great communal appellations close to the Gironde (Saint-Estèphe, Pauillac, Saint-Julien and Margaux) as well as Listrac and Moulis. There can be a wide variation in quality in the Haut-Medoc AC but a few properties are very serious indeed, producing classic, long-lived cedary reds. Both Listrac-Médoc and Moulis are located just to the north-west of Margaux. Listrac seems to offer less potential but there are attempts here to fashion some modern garagiste-style wines and make the best of the fruit available. Moulis has greater potential, with a number of very good properties. The northernmost of the great red wine appellations of the Médoc is Saint-Estèphe. There are five Classed Growths and the wines are generally the densest, sturdiest examples of the area. Modern winemaking has gone some way to address those firm youthful tannins and the wines are more approachable than they were even a decade ago and are very impressive at their best. Pauillac is synonymous with some of the greatest wines of the region. Châteaux Latour, Lafite-Rothschild and Mouton-Rothschild are all here. The deep gravel vineyards provide an ideal base for these strikingly rich styles laden with cassis and spice. The top wines need considerable age. To the south, the wines of Saint-Julien are less opulent than Pauillac, more perfumed and with intense cigar box and cedar notes. There are eleven Classed Growths and the extraordinarily refined Léoville-Las-Cases should be a First Growth in many people’s books. Margaux is just to the north of Bordeaux and contains 21 Classed Growths. At their best these are are the most elegant and refined wines of the Médoc. 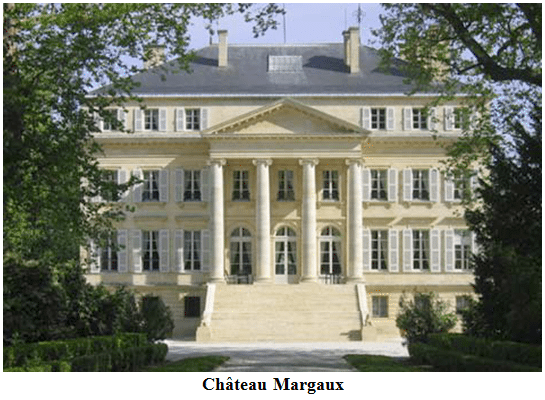 For a long time Margaux has been an underperforming appellation but change is happening aplenty – new investment, a renewed commitment to quality and, in Marojallia and Clos du Jaugueyron, the first serious garagiste wines on the Left Bank. Marojallia is vinified by Jean-Luc Thunevin, owner of Valandraud, one of the first garagiste wines in Saint-Emilion. Immediately south of Bordeaux, indeed part of the AC is in the outer suburbs of the city, are the vineyards of Pessac-Léognan. Originally part of the larger Graves appellation it was granted its own appellation status in 1987 in recognition of the superior quality of its sites. The soil is finely drained deep gravel and all of the properties in the 1959 Classification of the Graves are to be found here. Only Haut-Brion, with its First Growth status in the 1855 Classification, was absent from the list. Some splendid reds are produced here as well as a small number of dry whites. At their best these are rich, complex and very ageworthy and rival the great whites of the Côte de Beaune (see Burgundy). White winemaking in general throughout the Graves has improved immeasurably in recent years. The rest of the region stretches to the east and some way south of the Garonne. It is never as good as Pessac- Léognan but some good red and dry white are regularly produced. There are also a few sweet wines under the Graves Supérieures AC, but these are largely pretty dull. Just north-west of the town of Langon are the great sweet wine appellations of Sauternes and Barsac. A third sweet wine appellation, Cérons, is immediately to the north but does not benefit to the same degree as the other two AC’s from the remarkable geographical influence of the tiny Ciron river, which creates the conditions for the development of noble rot. Cérons and also the sweet wines from immediately across the Garonne in Sainte-Croix-du-Mont and Loupiac can be impressive but they never achieve the same intense botrytis quality as Sauternes. 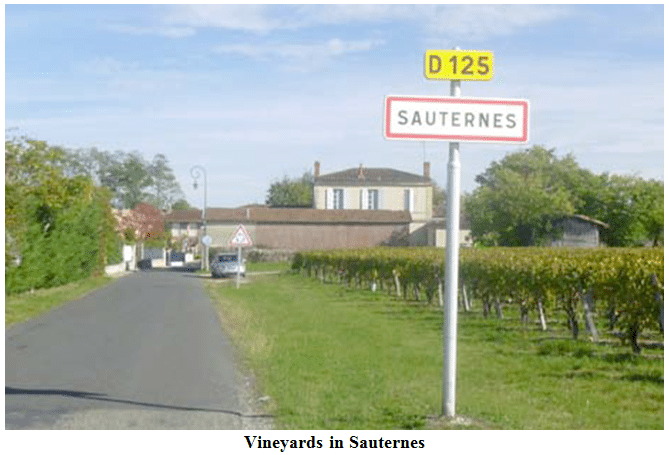 Barsac is one of the five communes of Sauternes and properties here may chose to label their wines Sauternes or Barsac. After a run of very successful vintages in the 1980s these wines are now fetching the kind of prices that make their production economic and indeed profitable. Fifteen to 20 years ago it was nigh-on impossible for producers to achieve a commercial return. Harvesting is incredibly labour intensive, with multiple tris (passes through the vineyard), and the yield is necessarily tiny. However, major investment has dramatically changed the area. Many wines of truly magnificent concentration and intensity are now being made. In the lesser years cryo-extraction has been used by a number of chateaux to improve quality.